Ken Hitchcock has been named the new head coach of the Edmonton Oilers. The Oilers relieved Todd McLellan of his coaching duties earlier this morning. Hitchcock, who is an Edmonton native, has the third-most wins (823) as a coach in NHL history. Edmonton currently ranks 26th in the league’s overall standings with a record of 9-10-1. The Oilers have registered just three wins in their last 10 outings so we could guess something was going to happen. “I saw some things that were resurfacing,” general manager Peter Chiarelli said. “This is no indictment on Todd. He’s a very good coach. He’s going to be a very good coach in the League again. I love the switch to Hitch. 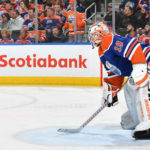 The man is known for his focus on the defensive side of the game, and that is the area the Oilers need the most work. Hitchcock, 66, is the third-winningest coach in NHL history (823-506-119, 88 ties) in 22 seasons with the Dallas Stars, Philadelphia Flyers, Columbus Blue Jackets and St. Louis Blues, behind Quenneville (890) and Scotty Bowman (1,244). He led the Stars to the Stanley Cup in 1999 and won the Jack Adams Award with the Blues in 2011-12. To be honest, I originally wanted Hitchcock when Todd McLellan was first hired. It will be interesting to see what he can get out of this roster. 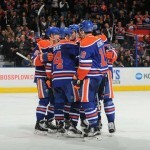 I think many fans would agree with me Peter Chiarelli has to out the door next!